What’s on your list this weekend? A bit of socializing? A bit of sweating? A bit of relaxing? My weekend doesn’t start until Sunday, but I’m SO looking forward to a good workout and a day of relaxation afterwards! This week has been CRAY-ZEE! I wish you could hear the emphasis in my brain when I say that. I’m working at becoming a master of productivty so this week I scheduled all my tasks and activities BY. THE. MINUTE. Of course life happened and some things got in the way, but in the end I still managed to cross everything off my to-do list. I’m trying to get into the whole “work smarter, not harder” mindset, but since trying to implement this I’ve found myself with even less free time than I had before. One thing I’ve always prided myself on during these insanely crazy times is my ability to keep up with my workouts, even if it’s just a quick 20 minute run, a 10-minute yoga sequence, or a 2-set version of the 4-set weight training workout I had planned. I’m perfectly content trading thirty minutes of “relaxing” on the couch with thirty minutes of exercise; I find it helps me clear my mind and re-energizes me to complete the next tasks that are at hand. As much as I love weight training and distance running, sometimes focusing on my form, my pace, my heart rate, intervals, incline, sets, reps, ALL THE NUMBERS is just too much for this jam-packed brain of mine to handle. Every once in awhile I just want to plop myself on a machine and get in a mindless cardio session. Sometimes I watch TV, sometimes I listen to music, and lately I’ve been listening to Podcasts (which, by the way, makes the time go by SO fast and allows you to kill two birds with one stone by learning AND exercising!). 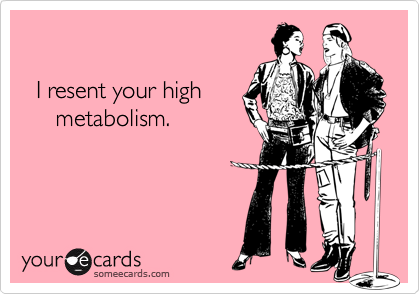 So today I’d like to talk to you about cardio! Now cardio really refers to any exercise that elevates your heart rate and makes your cardiovascular system work at a level that’s higher than normal; this could be circuit-style weight training, Olympic lifting, CrossFit, HIIT done with bodyweight exercises….the possibilities are endless! But for today’s purposes, when I refer to cardio I’m talking about the things we traditionally think of when someone says cardio: walking, jogging, cycling, the elliptical machine, that kind of thing. There’s three basic types of cardio: steady state, circuit training, and interval training. Steady state cardio is what most people associate cardio with. Plodding away on a treadmill or other machine at the same pace for usually 20-30 minutes, sometimes more, sometimes less. But it can get monotonous. When I’m out on my runs that last an hour or longer, if I could I would totally throw some intervals in there. Having a beautiful changing scenery really helps. Likewise, when I used to do steady state cardio at the gym because I thought I had to (TWO YEARS of doing the exact same weight training circuit followed by 20 minutes on the treadmill), I used to get bored out of my mind. So that’s where the other two types of cardio come in. If your trainer has told you that he or she wants you to do 30 minutes of cardio at a certain level of intensity and the thought of spending 30 minutes on a treadmill makes you want to cry, mix it up! Circuit training involves splitting your time up between two or more different machines. Every now and then I’ll do 10 minutes of incline walking on the treadmill followed by 10 minutes on the StairMaster. You can do 10 minutes on three different machines, 15 minutes on two machines, 20 minutes on one machine and 10 minutes on another…the choice is really yours. Just make sure you aren’t spending too much time getitng from machine to machine so you can keep that heart rate UP. And finally, we have my favourite: interval training. Interval training consists of alternating periods of high intensity with periods of low intensity. You can jog for a minute and walk for a minute. You can sprint for 30 seconds and run for 1 minute. You can crank the resistance on a spin bike and ride as hard as possible for 20 seconds and lower it to “recover” for 10 seconds. The possibilities are endless. Interval training is great because it breaks up the monotony. It gives you something to focus on besides staring at the clock trying to figure out how many more seconds you have until you can end the hell that is your cardio session. It also allows you to perform at a higher intensity. You can’t complete an all-out sprint for very long, and if you think you can you aren’t sprinting fast enough. By alternating these periods of high intensity exercise with periods of lower intensity exercise, you force your body to produce an incredible amount of work without much of a recovery time. This means that once you’ve hopped (or stumbled) off that treadmill or bike your body is going to have to continue to work to recover from what you just put it through. 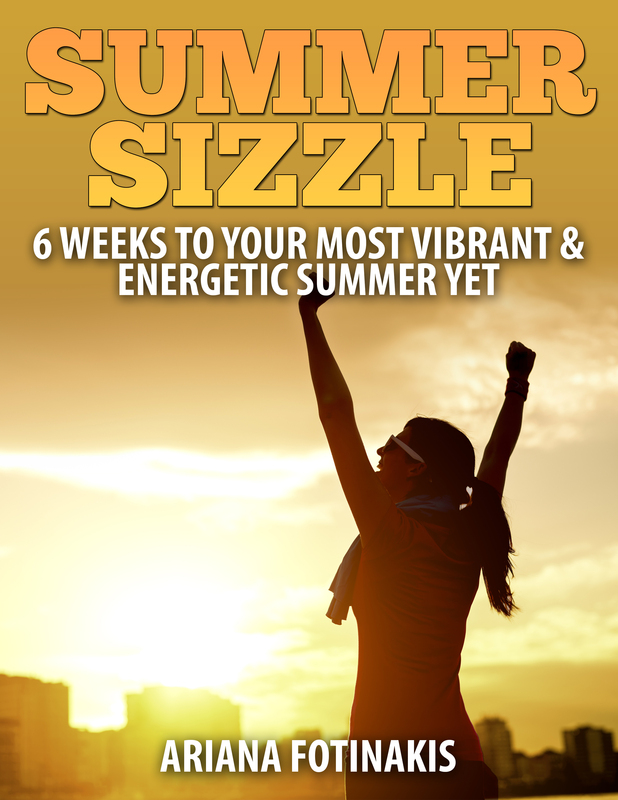 Your fat-burning potential is highly increased by all the hormonal changes and increased metabolic activity. Translation: you’re burning calories at an accelerated rate for hours after your workout, even when you’re lying on the couch. Win! Each form of cardio has its own benefits and certain styles are more effective for reaching certain goals. But if getting up and getting your cardio done is a total chore for you and receives a half-assed effort at best, I recommend you find the method you enjoy the most and just do that. High intensity interval training might be more effective for reaching your goals, but if you hate sprinting and refuse to do it, 20 minutes of steady state is better than nothing! 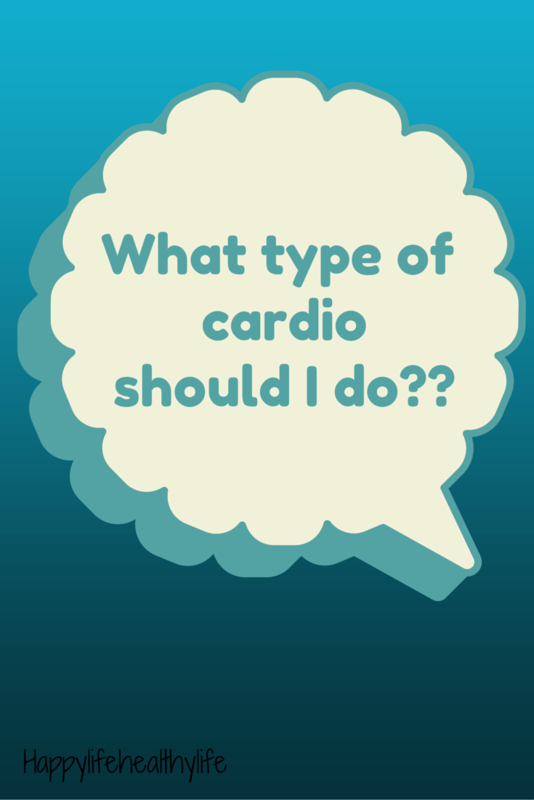 What type of cardio do you like best? 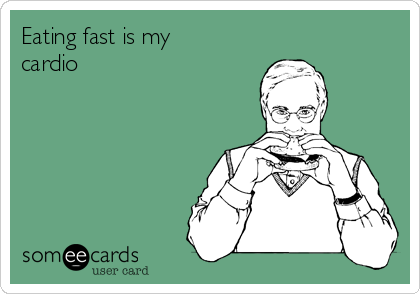 Does anyone besides us runners even “like” doing cardio? You’re welcome! 🙂 What type of cardio do you like to do? ?